Imagine having to personally revisit some of the world’s worst disasters and know that stopping them isn’t in your job description. That would leave wounds in the souls of even the most faithful among us. 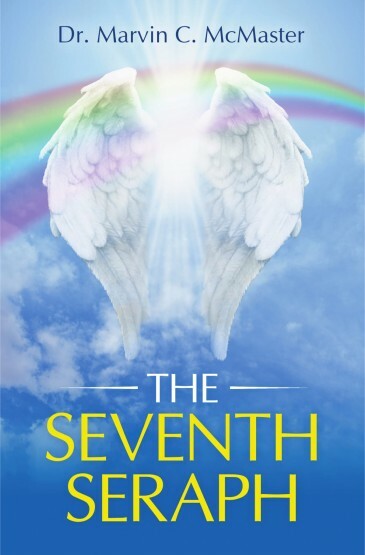 Dr. Marvin C. McCaster’s The Seventh Seraph dives into the heart of the world’s darkness and chaos. The novel follows Dr. Matthias Mort Samael, the Archangel of Death, on a mission to collect the souls of fallen humans, while trying to keep his sanity intact. He enlists the help of a psychiatrist, Dr. Susan Fernandez, who is looking for a cure for her brain stem cell cancer, to fulfill his quest. The two end up helping each other in ways beyond their expectations. Together, the archangel and the young psychiatrist travel through time and witness mankind’s most morbid events, such as Jesus’s Crucifixion, the Punic Wars, the Black Death, and World War II. Their adventure is set to conclude during the Last Judgment, a period of power over the Antichrist and final transformation. McMaster’s book is his own interpretation of the works of one of the seven archangels. Filled with history, adventure, and a hint of romance, readers will find the The Seventh Seraph enjoyable as they read about Matthias and Susan’s time-traveling exploits. Interested readers may purchase copies from selected online bookstores. Book copies are available at LitFire Publishing, Amazon, Barnes & Noble, www.theseventhseraph.com and other online book retailers. Dr. Marvin McMaster has worked as a research and process development chemist, a technical sales representative, and an adjunct professor. Since his retirement in 2002, he conducts Bible study teachings at the St. Andrew United Methodist Church while being a full-time writer.